Before you jump into a new hobby, it is important that you get to know about its do's and don'ts. There are many things to look into for something like drone flying. When you know what to avoid and how to fly a drone with safety, you can successfully avoid minor or serious mishaps. 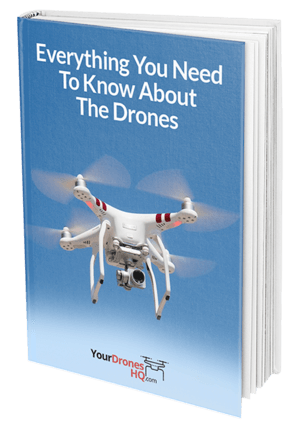 Although your brand new drone offers a few precautions in its instruction manual, it still helps to know how to avoid busy areas or danger zones while you are flying your drone. This feature is particularly important for children and beginners to avoid committing flying errors. Apart from being careful, make sure you follow these drone flying tips for an enjoyable flying experience. Flying your drone in a busy area is dangerous, especially when you are an amateur. Moreover, if you like to fly low, then chances of causing notable damage to someone increase. It is always a great idea to avoid flying your drone in a congested area. Make sure there are not too many people (especially kids) or dozens of vehicles in your chosen flying zone. Drying over busy intersections and high traffic areas can lead to serious damage and disastrous accidents. This factor goes for even expert pilots. No matter how great you are at flying a drone, if you decide to fly your quadcopter in harsh weather, you not only risk damaging your drone but also pose serious threats to the well-being of others. Although, a little breeze of some snow is manageable, do not fly any drone during when you can't predict the weather. According to FAA regulations, flyers have to contact the control tower before flying a drone within five miles of an airport. This feature naturally puts a damper on your flying potential and drone usage. People who live near airports should find a separate area for flying their drones. There is nothing like a cheap drone that can ruin your flying experience and jeopardize your safety. It can also stop midway in flight or malfunctions to cause unwanted accidents. One of the most important tips for flying a drone is to make sure you invest in an affordable model that is backed by favorable reviews. Moreover, check the manufacturer of the drone you are about to buy. If you are a beginner, buy a small aircraft that is likely to cause less damage in case of an unlucky event. There are too many quadcopters and drones that come with all kinds of features. Follow the instructions carefully and do not attempt anything in high traffic areas unless you don't know how to do it. You can also practice drone flying indoor. This step will help you get familiar with your drone and become an expert at flipping and diving before you could perform these maneuvers outdoors. Drones have become increasingly popular for photography, event coverage, recreation, and business purposes. Make sure you practice these drone safety guidelines for a safer flying experience.